The recent riots in London should be seen as a call to action on how Australia responds to the disenfranchised, the alienated, the excluded and the marginalised, according to Jan Owen, CEO of the Foundation for Young Australians. Amidst the tragic devastation of the riots that recently took place in Britain, young people were front and centre of the media coverage. 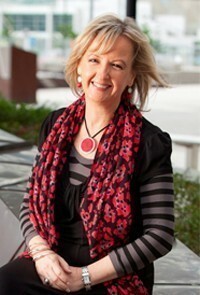 Above: Jan Owen AM, CEO of the Foundation for Young Australians. Whenever we point the finger at young people, we risk misunderstanding why these events take place. In response to shocking events like this, we too often resort to generalisations and stereotypes about young people. It is too convenient if not irresponsible to rely on these generalisations. Like in Australia, young people in Britain are diverse and resist easy categorisation and generalisation. While some young people have engaged in the riots, the vast majority have not, and would not. Indeed, BBC television has shown young people objecting to the violence and looting. We need to be wary of falling to hysteria, which was evident in the language used to speak about the riots. Talkback radio here was alive with descriptions of the riots as "an epidemic of violence" that has spread like a disease throughout Britain, and which could somehow spread to Australia. This is not to say that Australia is immune to events of this nature. In February 2005, rioting broke out in the Sydney western suburb of Macquarie Fields, sparked by a high speed police pursuit that resulted in the driver, 20-year-old Jesse Kelly, crashing a stolen vehicle into a tree and killing his two passengers. Local residents blamed police for the car accident and riots continued over four days, involving cars being set alight and riot police engaging in clashes with over 150 young people. Just a year before, teenager Thomas Hickey, was riding home on his bicycle in Redfern when he was supposed to have spotted a police car and assumed it was chasing him. There was an outstanding arrest warrant in his name. Shortly thereafter, Hickey lost control of his bicycle while turning a corner and was impaled on a 2.5 metre high metal fence, causing fatal injuries. There were unsubstantiated claims that Hickey's bike was clipped by the police car. The police were blamed for Hickey's horrific death, and by the time the riots were over, 40 police had been injured, Redfern railway station had been set alight, and at least one car had been burned. A youth riot broke out in Adelaide in 1984, triggered by perceived heavy police action against patrons at a music event. There are other examples. The riots in England were also triggered by a police action, in this case a policeman shooting a 29-year-old man in Tottenham. A pattern emerges: an event is triggered by a perceived grievance about a police action (and uniformed police readily represent 'the man'; the system) in an area where many young people are experiencing significant social and economic disadvantage. Mayhem breaks out, variously involving arson, attacks on police and looting. Within a few days, the police gather forces and take control; the young people, perhaps exhausted and/or controlled by their parents and carers, stay home. In the ensuing months, enquiries are commissioned into the police response and the social determinants of the riots. Police presence is beefed up, as are local youth services. True, the perception of excessive force and powers of police is an ongoing concern for many young people. A recently published book, ‘In Their Own Hands: Can young people change Australia?’ by FYA researchers Lucas Walsh and Rosalyn Black notes that in Australia, some young people have indicated that police powers to move young people in public spaces may indeed be excessive. It's also true that no riots would occur without the existence of what The Australian, in a recent editorial, described as "a seething intergenerational underclass". A similar underclass exists in many suburbs of Australia's cities. There are significant pockets of entrenched economic and social disadvantage. But it is wrong to construe from this fact that Australia faces an imminent risk of street violence as has been occurring in England. That approach, seeing young people as a threat, a source of danger, a group in our society to be feared, in turn, leads to calls for ever escalating law and order responses, which create the very confrontations such responses seek to prevent. Matching brutality with brutality will not provide long-term solutions. Pointing the finger at young people will fail to address the deeper causes and tragic consequences of these riots. Rather, we should regard the events in London and other parts of Britain as a call to action about how we are responding to the disenfranchised, the alienated, the excluded, the marginalised. The stark reality may be that these young people are neither helpless victims, nor crying for help, nor making a political statement. Violence is just one way of acting out a deeply embedded lack of a sense of real purpose and meaning. With 1 in 4 young people in Australia reporting mental health problems, one wonders why we haven't called out our own "youth epidemic". The lack of belonging and connectivity to their communities evident in these young people's actions reinforces the absolutely critical role of parents, teachers and mentors in the lives of young people. Now is the time not to vilify, but to demonstrate our wholehearted commitment to and trust in our young people. We need to set high expectations and provide genuine opportunities, not diversionary or containment strategies, for young people as learners in school. We need to ensure they can vividly see themselves as valued and contributing citizens in the life of their communities. I am fortunate and privileged every day to meet and work with young people from diverse backgrounds, experiences and walks of life the length and breadth of this country. In nationwide programs at FYA such as NAB Schools First; IMPACT – our Indigenous youth leadership program; Young Social Pioneers, which supports bold ideas and people like Chris Raine and his Hello Sunday Morning binge drinking prevention initiative; Worlds of Work; and, soon to be launched, Young People Without Borders, a global volunteering program for 18 year olds, we have thousands of young people who have innovative ideas for how to improve their schools, their communities and the world. These young people are often frustrated by the apathy and lack of support of adults and the institutions of government and business, who frankly won't invest in or recognise them until they are 'grown up'. Britain today is a wakeup call to us all but we have all the ingredients for a very different scenario here. If, as a nation, we decide to invest financially, socially and fearlessly in unleashing the courage, imagination and will of our young people we have nothing to fear and much to gain.